Comics Experience Blog: Ghastly Award nomination for anthology featuring SIX CE alums! Ghastly Award nomination for anthology featuring SIX CE alums! Indie Comics Horror #1, the anthology series from Aazurn Publishing which features work from SIX Comics Experience alums and Creators Workshop members, has been nominated for a 2012 Ghastly Award for Best Horror Anthology 2012! The Ghastly Awards recognize outstanding achievements in horror comics over a range of 15 different categories. The nominees are chosen by other horror comic book professionals and winners are chosen by a panel of judges, along with votes by creators and fans. 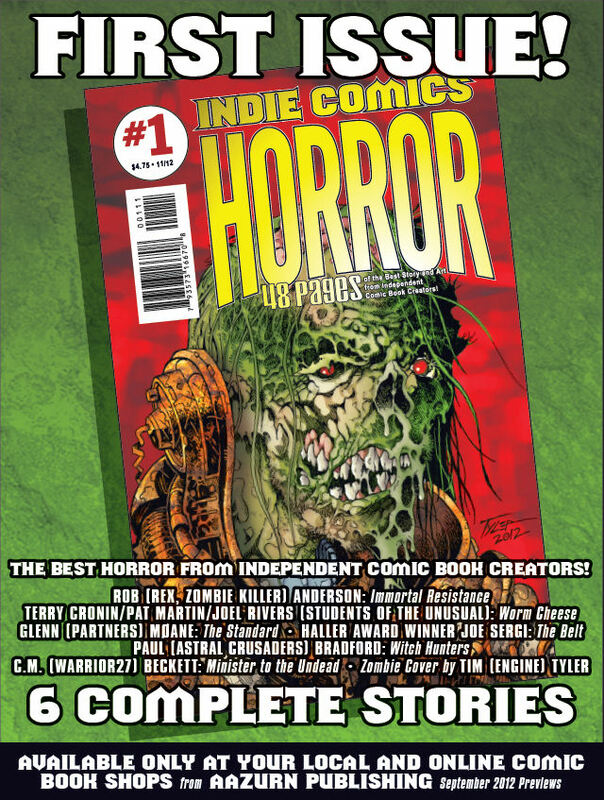 Indie Comics Horror is a 48-page black and white comic book featuring six complete stories in the nominated issue. * and BOTH Rob and Joe's stories featured art by DaFu Yu and lettering by E.T. Dollman! 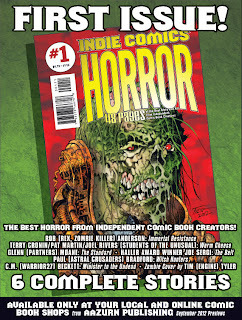 Indie Comics Horror #1 was also recently nominated in the Horror News Network 2012 Best Anthology category!